Is it possible to do something like this with a 100 mm with 1:1 magnicifaton? spend your time in here, always asking questions, how are you going to know if your lens you have will actually do, 1:1 bare on? You might want to try adding a reversed lens on top. @Thagomizer uses this to great effect often. Above 1:1 is challenging getting dof and light. Focus stacking really helps past 1:1 but with today's megapixels cropping works fine. Is that as an alternative to teleconverter and the raynox thing? Question: what is a reverse lens? It can be added on top of the 100 mm macro? What about costs and image quality? The Raynox lenses will probably have the least impact on image quality. There are other close up lens "filters" from the manual focus era that are very good too - look for the "big" names like Vivitar. I think Asahi Pentax had a set too. I'm going to let the rest of these guys explain what they're talking about, so, I've got you started, you should have plenty of help to get you confused. LOL Hope you get your answers and can go out and test some shots soon. I'd love to see what you come up with. 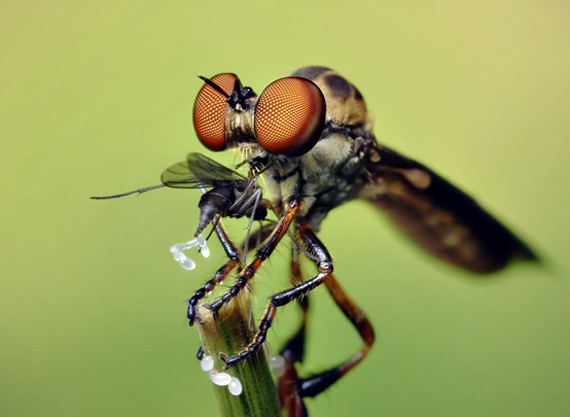 Possibly with some cropping, it depends on the size of the Robber Fly. IIRC, Thomas Shahan works with the relatively inexpensive path of reversing prime lenses on each other or tubes. Film era 28mm or 50mm primes are relatively inexpensive. I've used an A28/2.8 reversed on my dfa100 (up to 3x mag) and also reversed on a bellows. A disadvantage for field work, is if you want to stop down the reversed lens, you have to do it manually (like physically move the aperture lever with your finger), but obviously it can be done! The Raynox maintains all the auto controls you'd like (except auto focus), and the camera is still able to work the aperture lever for you. I think the answer is yes, but good macro shots often require the use of focus stacking, which is the key challenge. Through accessories such as tubes and bellows, the lens itself doesn't matter nearly as much. One concern with the 100mm WR macro is that it lacks an aperture ring, so you'd ideally want to find a set of (third-party, because Pentax never made any) A-type tubes or a de-glassed A-type teleconverter. And the very reason I stayed with manual focus lenses for macro. I'm happy with mine. By all accounts, the Pentax 1.4x teleconverter is better quality than my tamron (and has other bells and whistles, like WR) so should be a safe way to go, but it is more costly. More on reversing lenses: Coupling lenses for extreme macro. Quality can vary greatly depending on the specific combos. Reversing rings are inexpensive, so if you have a few other lenses to play with, it's an easy thing to try. The lens you reverse should have an aperture ring so you can manually control it. That sounds awesome and I love my old prime lenses. Do you need an adapter to use reverse lenses in front? Sorry, I see you you say a reversed ring coupler, Do you by any chance have a link or closed description of this device? You need a reverse lens mount coupler, it looks sort of like a step up ring but there are threads on both sides, one for the thread for the filter size of the 100mm and one for the filter size of the lens you wish to attach. You have to match it to the filter size of each lens. I bought one, but then never used it. It still resides in my gadget bag for one day when I get the urge to do so. One thing I never liked about some extreme macro, some people bring the insects inside, put them under a cup with high powered lighting or pin them down. I don't believe in killing insects to get my macro shots. Even the thought of it, turns my stomach and mind against people who do this kind of photography. 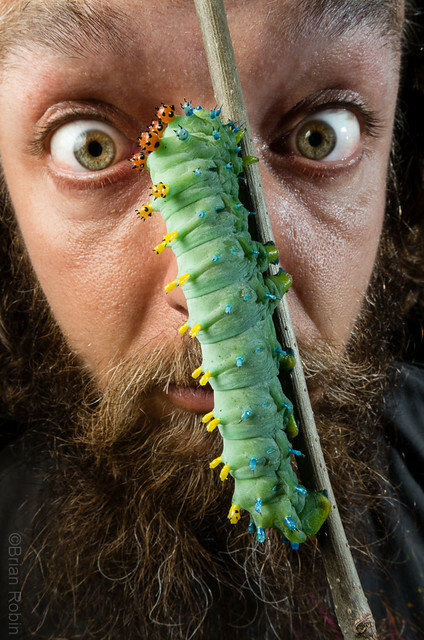 There are easy ways to get extreme macro in the field. Just get up early in the morning, before the dew dries, when they're still too cold to move. Sorry I'm answering in the wrong order here, a little confused by the forum. I can't like your posts on computer too. But I greatly appreciate all the tips and the different things you guys prefer. One thing I love about Pentax is the ability to use old, inexpensive lenses with great glass So the solution of stacking lenses sounds intriguing. Here is an example of how I've used my Pentax 100 mm macro wr so far. Lovely, sharp lens.